Jane can’t help but fret when a letter arrives from Adèle Varens—Rochester’s ward, currently at boarding school—warning that the girl’s life is in jeopardy. Although it means leaving her young son and invalid husband, and despite never having been to a city of any size, Jane feels strongly compelled to go to London to ensure Adèle’s safety. 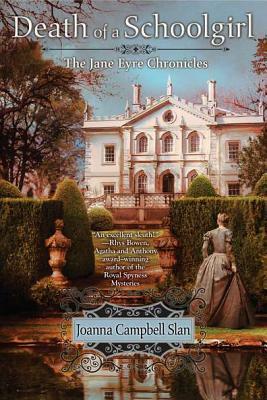 Joanna Campbell Slan is the Agatha-award nominated author of over twenty books. She grew up in a small town in Indiana, where she read and re-read her two favorite books A Tree Grows in Brooklyn and Jane Eyre. After traveling the world and living in England, she now divides her time between homes in McLean, Virginia, and Jupiter Island, Florida.